Jared Unzipped: President Obama is Wrong On the Trans-Pacific Partnership. 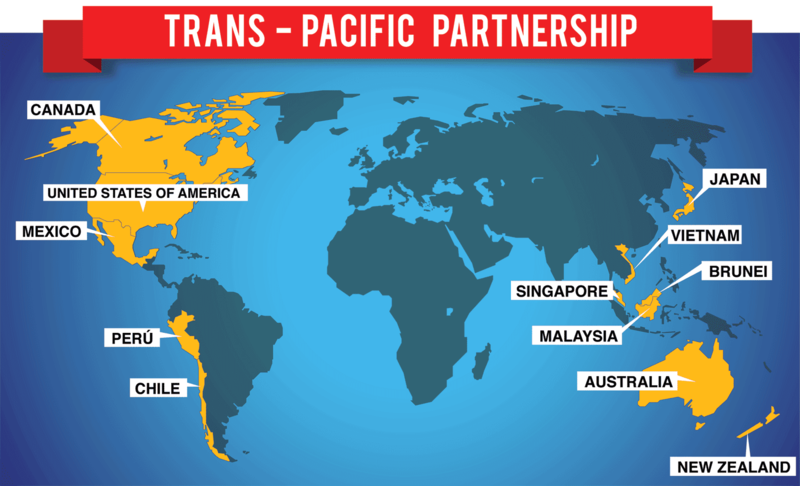 President Obama is Wrong On the Trans-Pacific Partnership. “I’ve spent the last six and half years yanking this economy out of the worst recession since the Great Depression." That's the opening salvo from President Obama in an attack on Senator Elizabeth Warren. 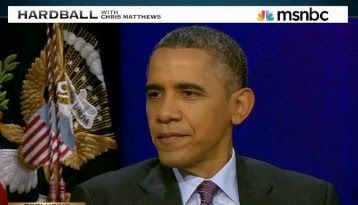 During a recent interview taped with Hardball host Chris Matthews on MSNBC, Obama went into great detail about the Trans-Pacific Partnership (TPP). Internet Service Providers would be required to police their own networks and users for potential copyright infringement. There wouldn't even need to be clear evidence that a user had committed such infringement; the TPP only requires that three allegations be made. At that point, users can and will be restricted from accessing the internet through that ISP and shall be placed on a black list, which would be accessible to other ISP's. Without any sort of trial, a private person can be banned from accessing the internet from the comfort of their own home. Digital locks, which range from special frequencies in remotes to phone's being restricted to one particular cellular network, would be heavily bolstered. This means that copyright holders could legally shut down any form of competition to their product, without so much as a civil trial or investigation. This is particularly frightening, considering the company with the deepest pockets would win every time. Journalists and their sources for information would be at great risk should the TPP be enacted. They would be required to disclose private data about any whistle-blowers within a corporate institution, should that company feel their intellectual properties are being impeded upon or put at risk. The TPP is the ultimate silencer when it comes to keeping dirty corporate dealings private. The ability for private citizens to discuss and share their personal experiences about products or services through the Fair Use clause of US Copyright Law would be a sitting duck. The TPP would make it near impossible for any of us to comment on anything without being at risk for litigation from the holder of a copyright. Let's say you review your local Subway on Yelp and didn't like their service. If Subway reads your review and feels that it infringes upon their trademark because you mentioned them, then they can order for it to be removed. You can see where I'm going with this... big business could silence anyone for any reason. The TPP conveniently extends to nations where generic drugs are produced and sold to other nations, including the United States. This would mean that big pharmaceutical companies could legally restrict any country involved with the TPP from allowing the production of generic drugs that would compete with their own products. In cases where private consumers share various forms of media without the intent for commercial gain (transcribing an old book for others to read for free, creating a free voice dub translation for a foreign film, using a video to create a parody of it, etc. ), that person could face stiff fines and lengthy jail time -- even if the copyright holder in question does not make a claim against the consumer! As you can see, the TPP is nothing but a big push by the President and other politicians to secure profits for major corporations. When lobbyists practically own all the politicians in our government, this should be no surprise. Not only would the above-mentioned changes alter the digital landscape, but they would further increase the flow of jobs outside the United States and into nations where employment laws are extremely lenient. As if the outsourcing of jobs in this nation wasn't already exacerbated, the TPP would compound the problem to a level we've never seen before. "I love Elizabeth. We're allies on a whole host of issues. But she's wrong on this." Warren has stated her concerns about the secrecy of the TPP time and time again. She's in the right on this issue -- the TPP's terms are not even public knowledge and are only available to select few. The document language of the TPP agreement is kept in private and delegates are forced to sign non-disclosure agreements. Essentially -- even if Obama did want to reveal information about the TPP to the American public (which he doesn't), by law he would not be able to. This is certainly a cause for alarm. Some of the TPP agreement has been leaked to the public, thanks to Wikileaks. You can (and should) read it here. We have dug into the facts, Mr. President. You're no different than the majority of political leaders that have come before you. Whomever has the biggest wallet has the biggest voice in Washington. The President clearly believes he alone helped to fix the economic mess left by the Bush Administration. He's obviously baffled by those, like Elizabeth Warren, whom would oppose his efforts to continue "fixing" our economy. That's how I know he's wrong.